You are cordially invited to the HJs Christmas social. 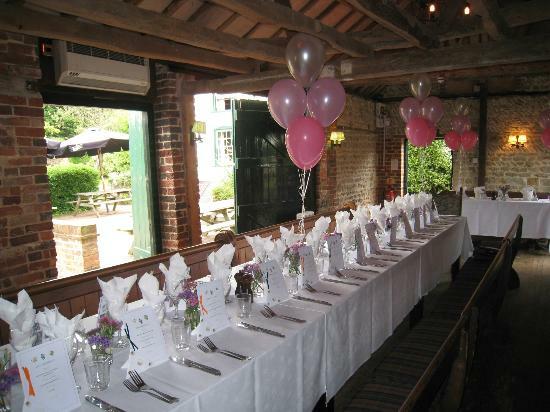 £16.50 per person, including 10% tip – 2 course supper and Skittles game/s. Partners welcome – book early to avoid disappointment! Roasted Beetroot & Goats Cheese Tart, Potato & Shaved Beetroot Salad, Beetroot Chutney, Mascarpone Cheese. Roasted Skin On Chicken, Bubble & Squeak Cake, Steamed Greens, Bordelaise Sauce. Mince Pie Sundae – Cognac Soaked Fruits, Crushed Shortbread, Vanilla Ice Cream, Whipped Cream. Drinks, coffees, anything additional may be purchased individually on the night. Mark 07711 467267 (mention Gill’s name).